In a simple one day project our team at Monk’s Home Improvements repainted this home’s front door. Changing the look of your home’s front door is a great way to add a splash of change to your home’s exterior. In only one day our team carefully prepped the door for painting, primed the door, and applied two coats of high quality exterior paint. A splash of new color offered a drastic update to this home’s exterior. To see other exterior painting projects by our team take a look at our exterior painting portfolio. If you would like to see more projects by us, check out this sanding and painting project this exterior painting and exterior trim repair project or this historic home exterior painting by Monk’s. 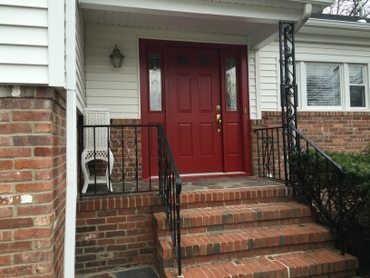 If you are considering an exterior painting project for your home we would like the opportunity to tell you why we think we are the best exterior painting contractor in Morristown, NJ 07960.